What kind of liar do you prefer, the Gemini or the Scorpio, the Trickster or the Great Deceiver? There is a liar in every zodiac sign, but some of them lie more than others. Gemini, ruled by Mercury, a trickster god, and Scorpio, ruled by Pluto, god of underworld and the Great Deceiver, are the most „talented“ liars of the zodiac. 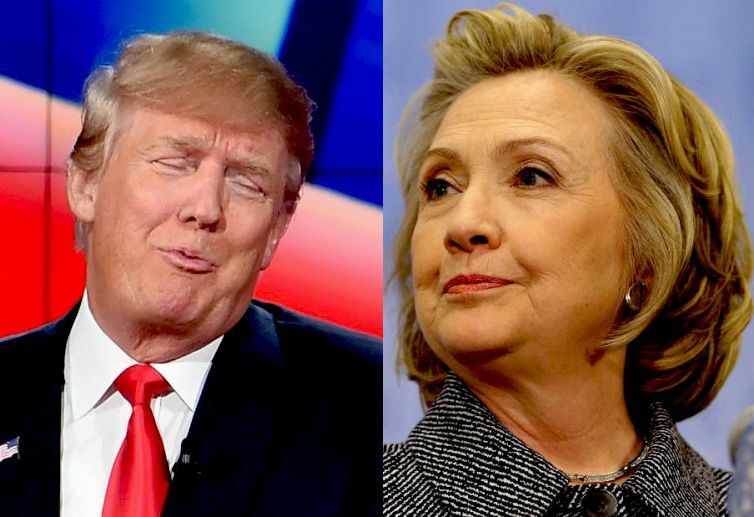 Should we be surprised that a Scorpio confronts a Gemini, for the United States Presidential Elections 2016? Not really. Let’s remember what Hunter S. Thompson, the founder of the gonzo journalism movement, said about politics and lying: „The main problem in any democracy is that crowd-pleasers are generally brainless swine who can go out on a stage & whup their supporters into an orgiastic frenzy—then go back to the office & sell every one of the poor bastards down the tube for a nickel apiece“. Nearly a hundred years earlier, the Irish playwright George Bernard Shaw said about one his characters: „He knows nothing; and he thinks he knows everything. That points clearly to a political career“. And here is another definition, offered by George R. R. Martin: „Politicians were mostly people who’d had too little morals and ethics to stay lawyers“. 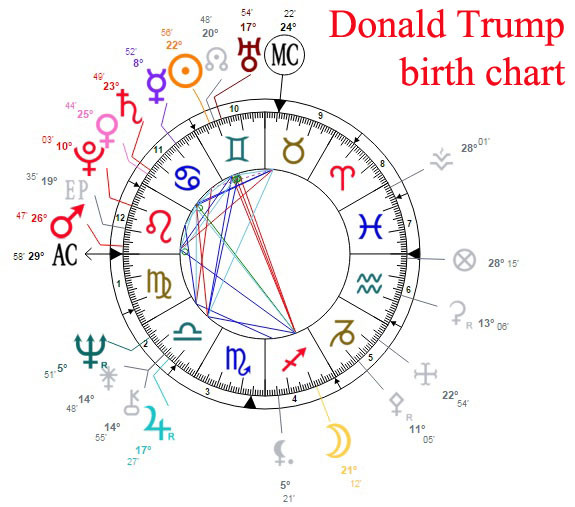 Donald Trump is Gemini, with natal Sun in the sign of Gemini and in the house of career (the 10th astrological house). He also has, on his natal chart, Uranus in Gemini and in the 10th house (indicating eccentric, but popular people) and North Node in Gemini (a person who has wisdom, but doesn’t necessarily know how to share it – this is what he must learn). So, there are three important elements on his natal chart under the influence of Mercury, the ruler of Gemini. 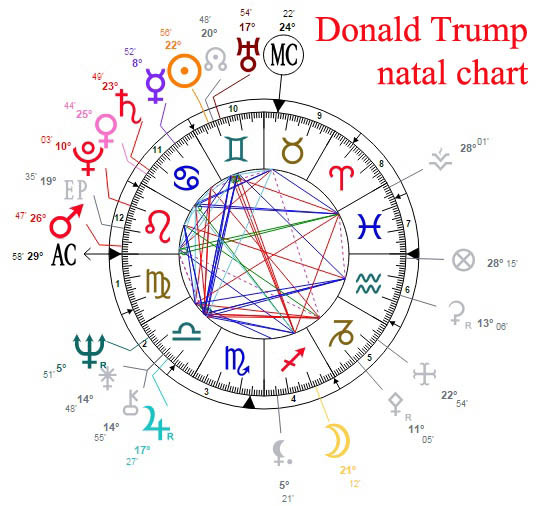 The problem is that Trump’s natal Mercury is in Leo and makes three hard aspects with other natal planets or asteroids: three squares (with Neptune, Juno and Chiron) and one opposition (with Pallas). Such an ill-aspected, but powerful Mercury indicates, often, a liar. The proper term is not actually „liar“, but „trickster“. 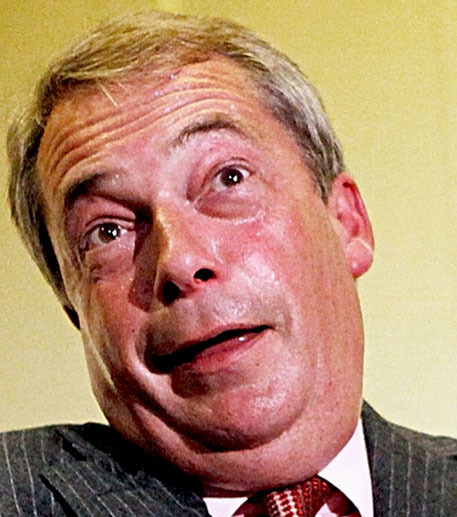 In mythology, a trickster is a god who exhibits a great degree of intellect and knowledge, but uses to play tricks, to disobey rules and conventions, to mock authority. In the Ancient Greek and Roman myths, Hermes or Mercury is the god who plays the Trickster. He is not only the patron of all thieves, but also the inventor of lying. Hermes passed the gift of lying to one of his sons, Autolycus, who passed it to his well-known grandson Odysseus or Ulysses. There is a poem that tells everything about Autolycus’ ability of lying: „loved to make white of black, and black of white, from a hornless animal to a horned one, or from horned one to a hornless“. His grand-son Odysseus or Ulysses had the idea of the Trojan horse – a trick that won a war. So, this is how brilliant a Gemini lies! Other well-known tricksters, in different mythologies and folktales, are: Puss in Boots, the magical cat who tricks a king into raising a low born miller to the station of a great noble, Loki, a shape-shifting, troublesome giant and citizen of Asgard in Norse mythology and even Satan, depicted as a trickster in English miracle plays or saint’s plays. But, as god of the underworld, equivalent of the Roman Pluto and the Greek Hades, Satan is the Great Deceiver and his story is about another type o lying, more characteristic to Scorpio. 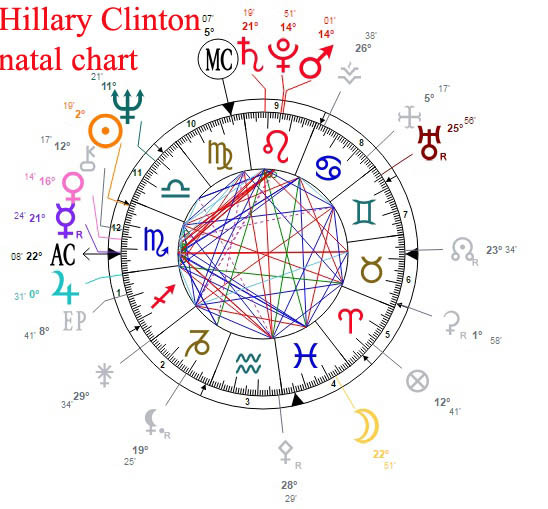 Hillary Clinton is Scorpio, with natal Sun in Scorpio and the house of true self and hidden power. She also has Rising Sun (Ascendant), retrograde Mercury, Venus and the asteroid Chiron in Scorpio, the sign ruled by Pluto. This ruler of Scorpio is in Leo, conjunct with Mars, the other ruler of Scorpio. Like Trump’s Mercury, Hillary’s Pluto makes a lot of bad aspects: square with Ascendant, Mercury, Venus and the asteroid Chiron. Such an ill-affected Pluto manifests his worst attributes, remembering us that infernal gods like Pluto (equivalent of the Greek Hades) are also the greatest deceivers. As we said above, Satan (whom we may consider, as ruler of the Underworld, the Christian equivalent of Pluto and Hades; other underworld gods were Nergal in Mesopotamia, Yama in East Asia or Mictlantecuhtli in Aztec mythology) is also a liar and a trickster. His role is to corrupt humanity and he plays tricks, trying to populate his underworld kingdom. Eighteenth century Bible commentator Matthew Henry says: „He is the great promoter of falsehood of every kind. He is a liar, all his temptations are carried on by his calling evil good, and good evil, and promising freedom in sin“. Satan’s first lie, attested by the Bible, was „Ye shall not surely die: For God doth know that in the day ye eat thereof, then your eyes shall be opened, and ye shall be as gods, knowing good and evil“. Eve and Adam ate the fruit, but they didn’t become immortals. So, what kind of liar do you prefer? The Gemini or the Scorpio? The Trickster or the Great Deceiver? Share the post "Gemini Trump versus Scorpio Hillary: the Trickster versus the Great Deceiver (Astrology and Mythology)"